BONITA SPRINGS, Fla. - July 17, 2017 - PRLog -- The Kiwanis Club of Bonita Springs Young Professionals group recently spearheaded a beach cleanup day at Bonita Beach. 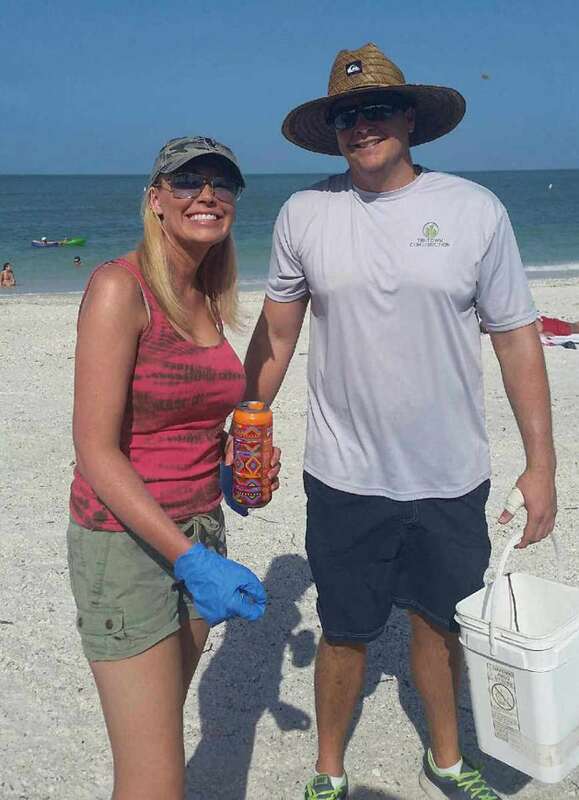 Natasha Smith, spa manager at Pena Plastic Surgery was instrumental in organizing the cleanup that removed 10 large bags of trash from the beach. Several club members and their families participated, helping teach area children and beachgoers about the harmful environmental effects of littering. "Natasha always steps up early and often leads our Kiwanis community projects," said President Marc Devisse. "As one of our founding members, Natasha has a heart for those in need in our community and loves volunteering. Our club members regularly donate books and read to kindergarteners at Bonita Springs Elementary School, conduct food and toy drives, and revitalize local historic sites throughout the year." Lee County Parks & Recreation helped in the project by providing trash bags, gloves and free parking. Riverchase Dermatology donated sunscreen and Rosati's Pizza provided pizzas. The Kiwanis Club of Bonita Springs Young Professionals was formed in 2016 by Marc Devisse, Brandie Dickerson, Natasha Smith, Matthew Devisse, Harris Segal, Sylvia Dorisme, and others. It is part of Kiwanis International www.kiwanis.org, a global organization dedicated to serving children worldwide. The club is a group of young professionals that meets and networks the second Wednesday of every month from 5:30 to 7:30 p.m. and conducts monthly service projects in the community that benefit children. For more information about membership and projects, visit www.bonitakiwanis.com/ or call (239) 895-2058.